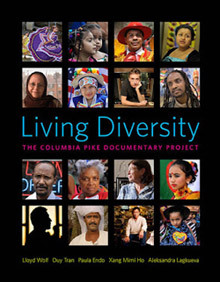 An extensive photo essay highlighting the work of the Living Diversity book is currently featured on Life Force magazine’s website. 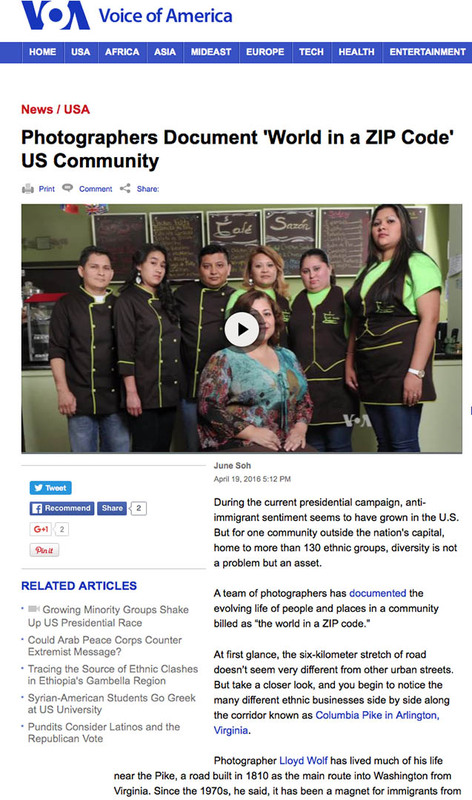 Nineteen images by CPDP’s chief photographer Lloyd Wolf are included, along with an essay describing the work of our team. You can view the whole picture essay of by clicking here . 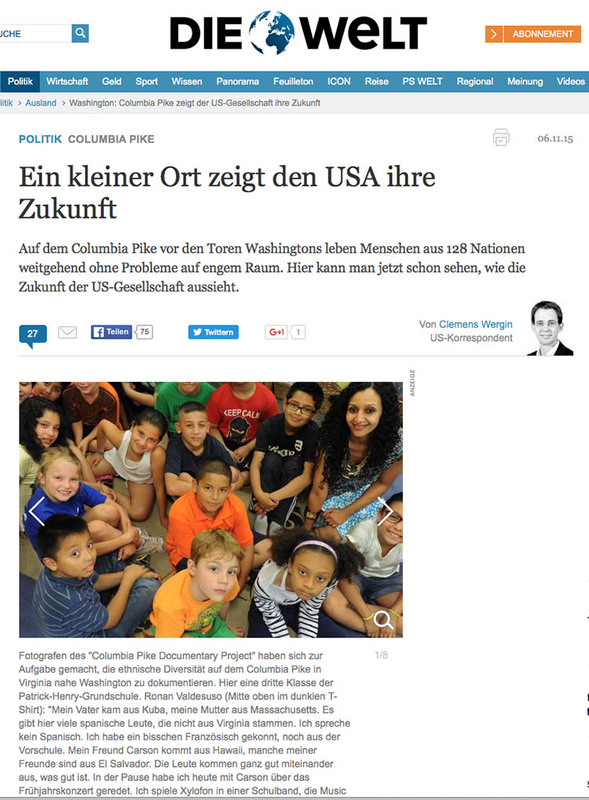 We are honored to be able to share the work of our diverse Columbia Pike community with an international audience in such a meaningful forum. Voice of America has posted a video profile of Columbia Pike and the work of the Columbia Pike Documentary Project. Thanks to reporter/producer June Soh for her sensitive piece. During the current presidential campaign, anti-immigrant sentiment seems to have grown in the U.S. But for one community outside the nation’s capital, home to more than 130 ethnic groups, diversity is not a problem but an asset. At first glance, the six-kilometer stretch of road doesn’t seem very different from other urban streets. But take a closer look, and you begin to notice the many different ethnic businesses side by side along the corridor known as Columbia Pike in Arlington, Virginia. Photographer Lloyd Wolf has lived much of his life near the Pike, a road built in 1810 as the main route into Washington from Virginia. Since the 1970s, he said, it has been a magnet for immigrants from every corner of the globe. So Wolf and four other photographers who call the area home — Duy Tran, Paula Endo, Xang Mimi Ho and Aleksandra Lagkueva — spent 10 years capturing the life of the people who make up the corridor. Claudia Camacho owns a Bolivian restaurant on the Pike. She likes the community and has lived nearby for 23 years. Mohammed Mohammed settled in the area 25 years ago. His shop sells imported Ethiopian products. Although the historic corridor has been one of the most culturally and ethnically diverse neighborhoods in the nation — and perhaps in the world — for decades, Wolf points out there is no ethnic enclave. Frequent ethnic festivals offer a blend of cultural experiences. 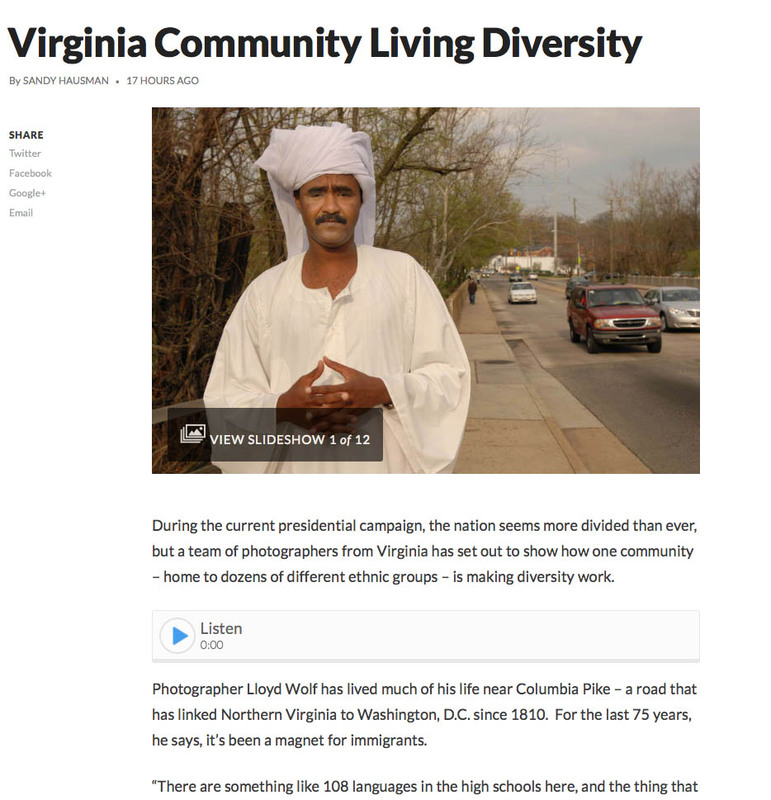 The photographers have compiled their extensive collection of images into a book, Living Diversity: The Columbia Pike Documentary Project. “The changing face of Virginia has altered the state’s politics, economy and sense of itself. 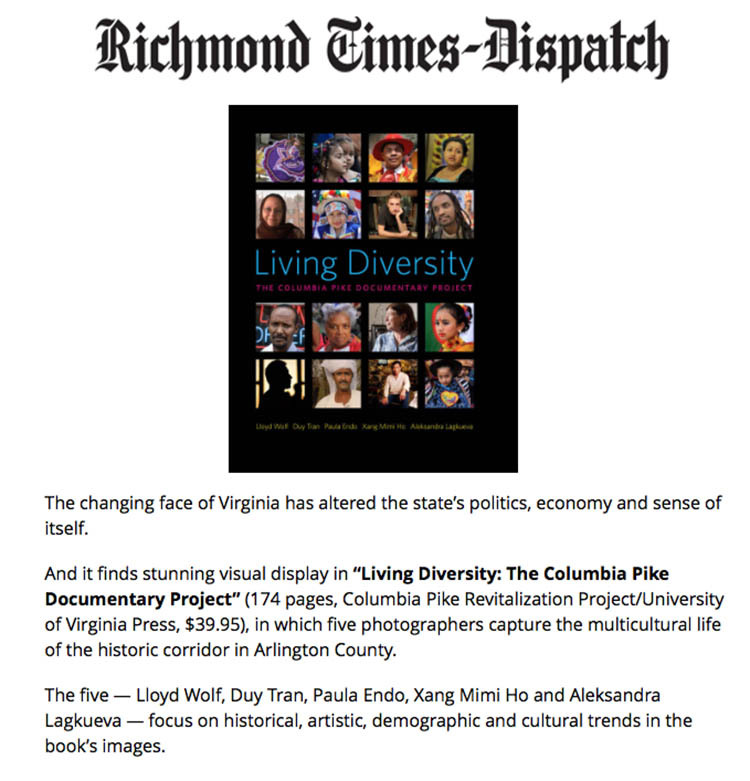 And it finds stunning visual display in “Living Diversity: The Columbia Pike Documentary Project” (174 pages, Columbia Pike Revitalization Project/University of Virginia Press, $39 viagra for men online.95), in which five photographers capture the multicultural life of the historic corridor in Arlington County. 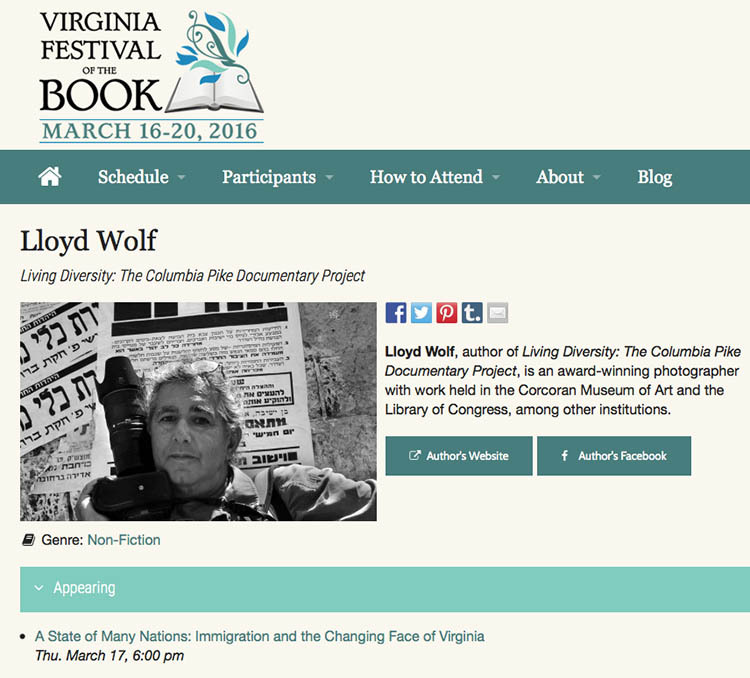 Lloyd Wolf, chief photographer for Living Diversity: The Columbia Pike Documentary Project, will be presenting the work of the entire CPDP photography collaborative at the Virginia Festival for the Book. Images by Duy Tran, Xang Mimi Ho, Paula Endo, Aleksandra Lagkueva, as well as his own work, will be included in a striking slide presentation and panel discussion.